We are locally owned and locally staffed. The owner, Shawn Campbell, is personally on site. Our well-trained technicians are local people with many years of professional experience. At our garage, you can talk to the mechanic who is working on your car. 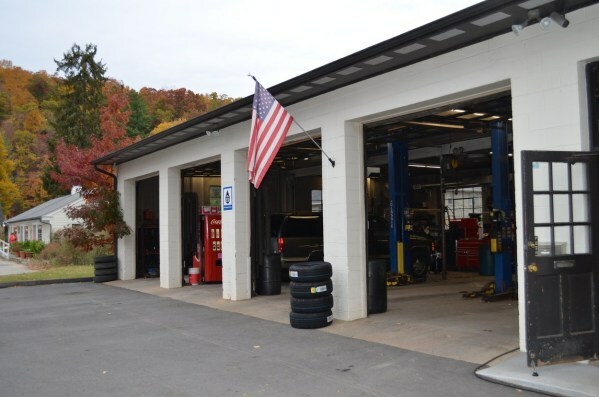 You may prefer this to the modern car stealership dealership where you never even lay eyes on the actual service technicians and the "service advisor" is just a middle-man between you and the mechanic. Who knows what's going on in the part of the facility that you never see? We have state-of-the-art computer diagnostic equipment. Cars and trucks since 1996 are required to have an "OBD-II" (On-Board Diagnostics II) port. We plug our device into the port and often save a huge amount of time by letting the car tell us what is ailing it! This is especially true when the dreaded (and vague) "Check Engine" light comes on. Brakes: inspection, disc brake repair, rotor replacement, parking brake adjustment, etc.